Suzie has been in the theater for a while now. She's been every part in the book. She's played the shy, young nanny in a grim mansion hearing voices at night. She's played the tough boss who evolves to a more understanding character after a series of slapstick events. And of course, there was the notorious time she played a blood-sucking vampire. It would have been an amazing performance if she hadn't tried to make her own blood. But her homemade beetroot and corn syrup mix congealed so when her victim was supposed to be bleeding it just didn't work. Was it gross? Yes. Was it frightening? No. Confusing? Totally. After this not-so-bloody disaster, Suzie has been relying on professional grade stage blood to make sure she redeems herself to every single person who was in the audience that day. 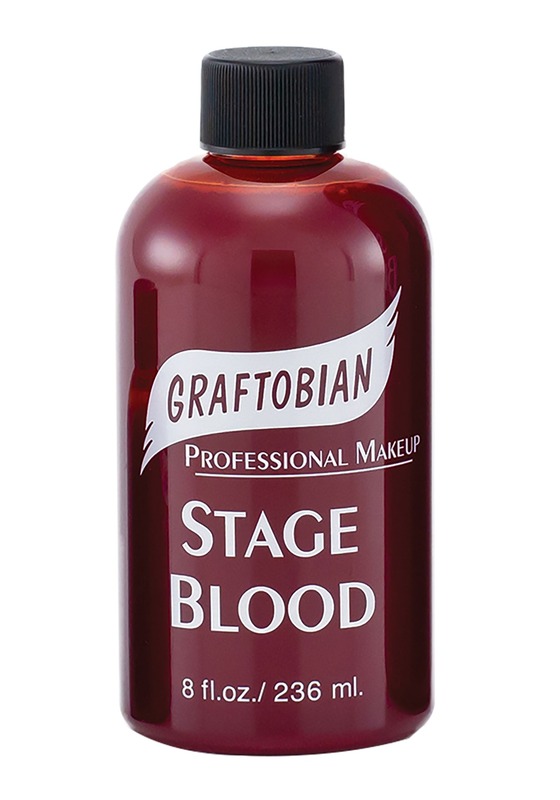 Whether you're looking for a frightening bloody stain or a dramatic spurt of blood, this stage blood is the way to go. You'll get eight ounces of grotesque liquid that you can either choose to squirt or apply it with a paint brush. Are you looking to create a horrific look? Up the ante with the prosthetics, wax, tattoos, and all sorts of other special effect products to create wounds that are customized just for your character.